← Can you hover over a Porta Potty? The Honeynut Squash is a mini version of the butternut squash. I first discovered it at Trader Joe’s and then at the local Farmer’s Market. They are easier to slice and peel compared to butternut squash. I have been using a lot of squash this fall. It is so nice to cook in season! 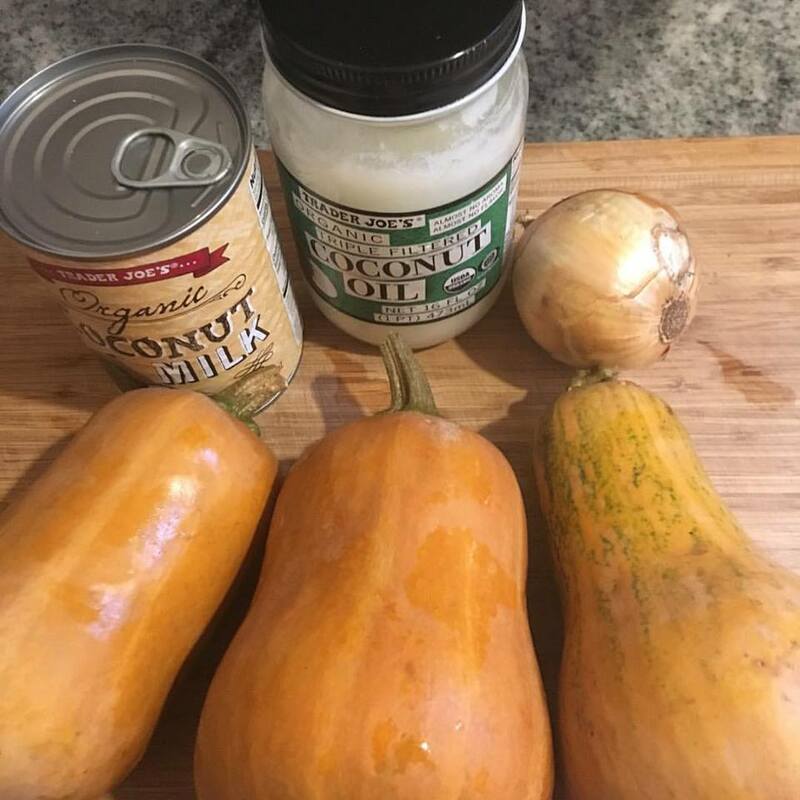 I saw a version of the Squash soup recipe on Little Bites of Joy’s Blog. I was inspired to try it with the Honeynut Squash. You can substitute butternut squash or acorn squash. Saute the chopped onion in coconut oil until soft. Add the cubed squash and cover with broth. Bring to boil and lower hit to simmer for 25 minutes until the squash is soft. Add 1 can coconut milk and blend with an immersion blender. Add salt and pepper to taste. A special treat: Topped with crumbled cooked Niman Ranch Maple Bacon.